Hi There! 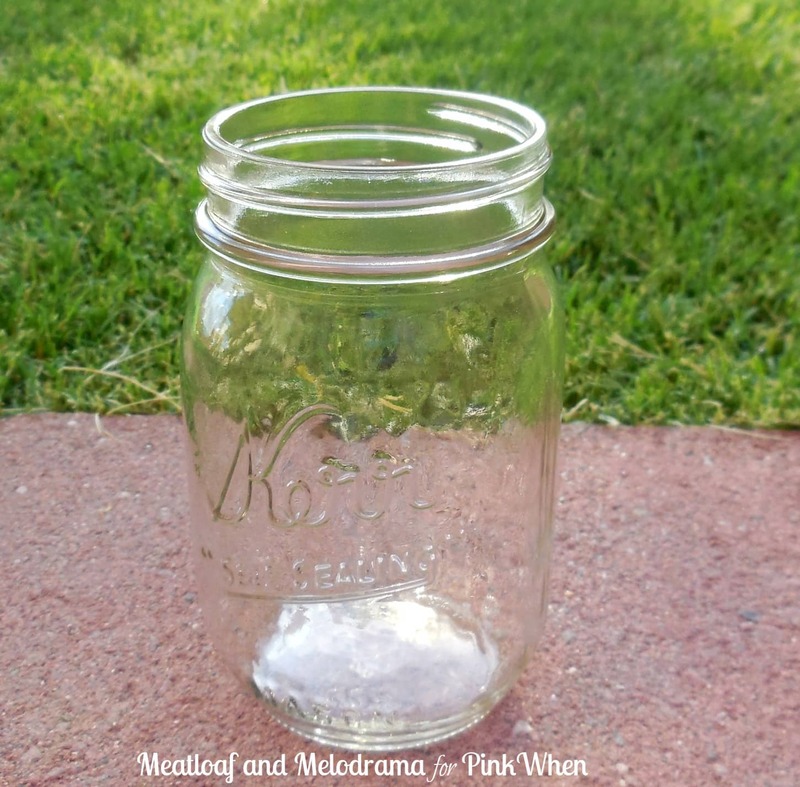 I’m Dee, and I blog over at Meatloaf and Melodrama, where I share easy crafts, DIY projects and simple recipes. I am thrilled to be guest posting on PinkWhen today, and I have a cute summer craft to show you! 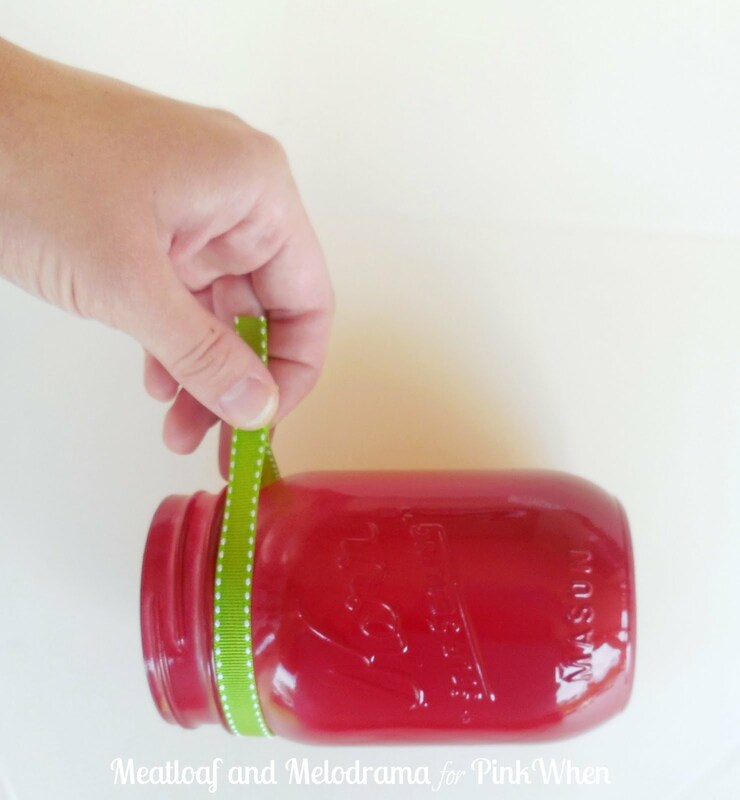 I love the look of painted mason jars, and you can do so many different things with them. Because summer is the season for picnics and cookouts, I thought it would be fun to paint mason jars in a summer theme and use them to hold utensils. I wanted the jars to be bright and fresh, so I decided to paint one to look like a watermelon and one a nice lemon-yellow color. I started out with two plain mason jars and took them out to the back yard for a quick spray-painting session. I know that distressed mason jars are popular, but I wanted to keep these bright and summery — so, no distressing this time! The jars needed some embellishment, so I found some pretty green and white ribbon on sale at Michael’s, and I cut the ribbon to fit around the neck of each jar. 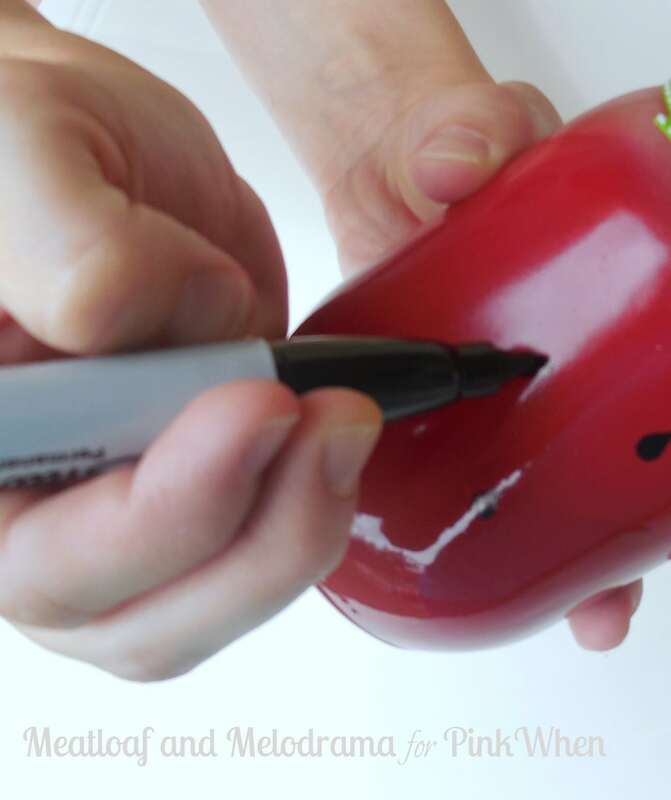 I used hot glue to attach the ribbon to the jars, and then I got out my trusty Sharpie and drew some black seeds on the red jar. Now, I have a cute watermelon mason jar and a lemony yellow mason jar! I love the way the jars add some color to the outdoor table. I filled them up with plastic utensils, but you could also add some fresh flowers or other items for your table. This is a super easy craft, and it didn’t take long at all to do. If you would like to see more projects like this, I would love for you to stop by and visit me anytime. Thanks so much, Jennifer, for allowing me to share this with your fantastic audience! I love these mason jars. They are so darn cute. So Making them today. Thanks for sharing. love these! Especially the watermelon. I don’t get the distressed look and love you didn’t do that! These are so cute! I love, love, love summer decor and fast and easy. These fit both bills. Thanks for sharing! Any particular spray paint you used? These are adorable! Very cute! I’d also like to know if you painted the inside of the jar, or outside? I grew up an hour and an half north of Shreveport in Hope, AR, which is known for growing huge watermelons. (Yes, exciting claim to fame!) My kitchen is decorated with watermelons to make me feel at home. I absolutely live your jars! Thank you so much for sharing. I drive through Hope every time I go to Memphis! Seriously too cute! I have to pin this! I too would like to know if you painted the outside or inside of these jars. they are very cute! Hey everyone! I don’t think Dee has been able to respond to all of your questions, but I believe she painted the INSIDE of the jars. Hopefully that helps! Dee, these are super cute! Love the bright Summer colors! 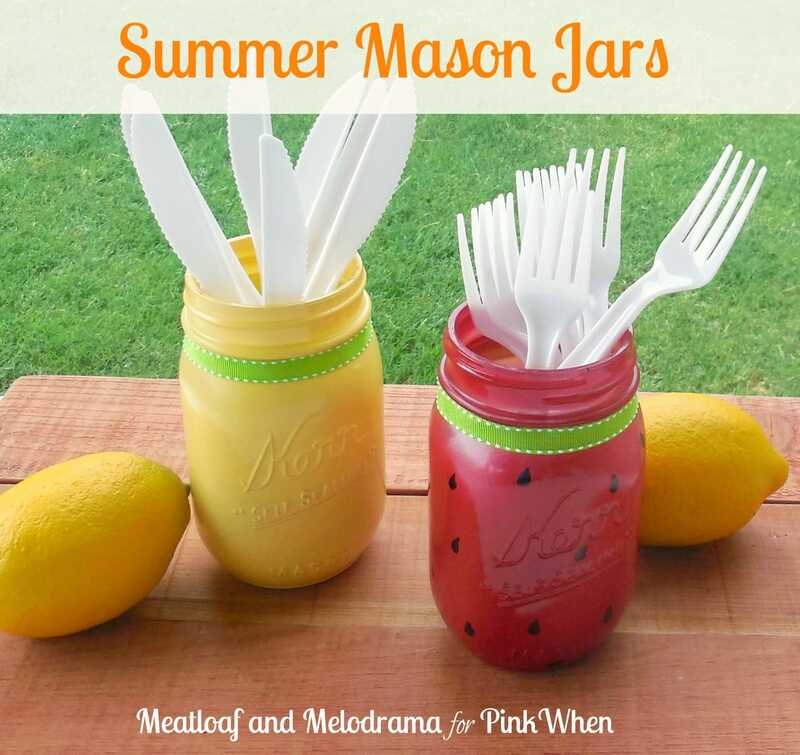 Perfect for all the Summertime entertaining! What kind of paint did you use and how was it applied? Can water be put in them for flowers?